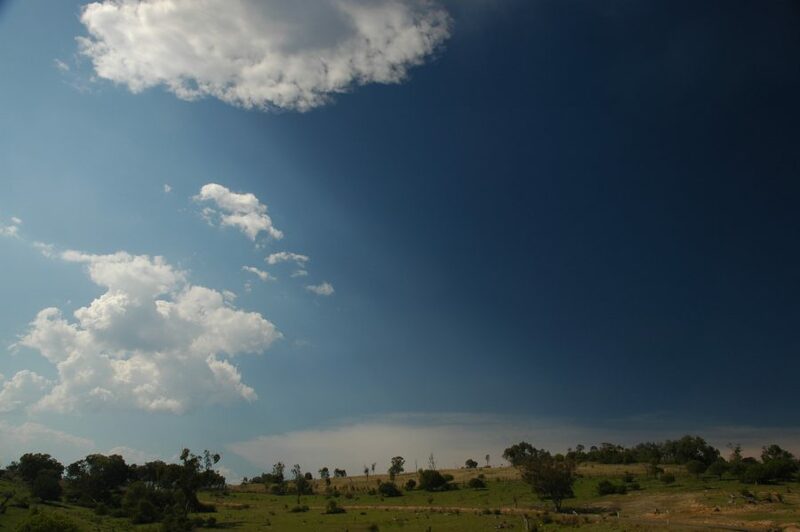 Very warm and mostly cloudy locally. 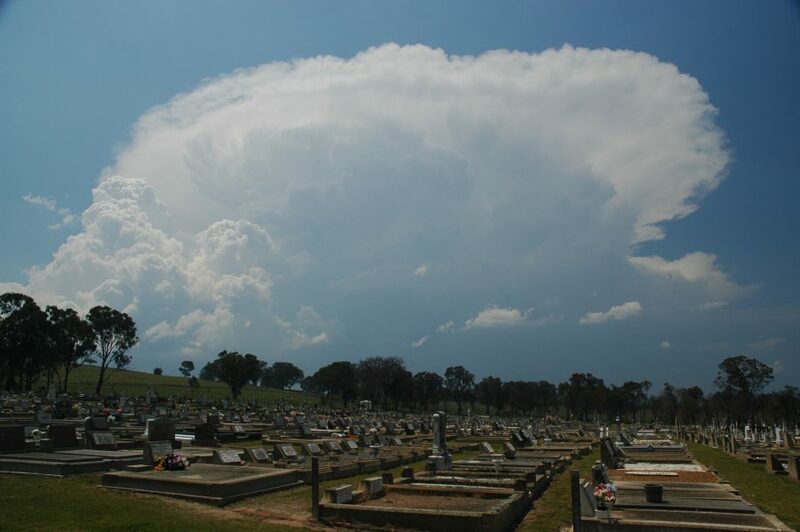 Storm chase to Tenterfield where a severe pulse cell developed after 1pm. 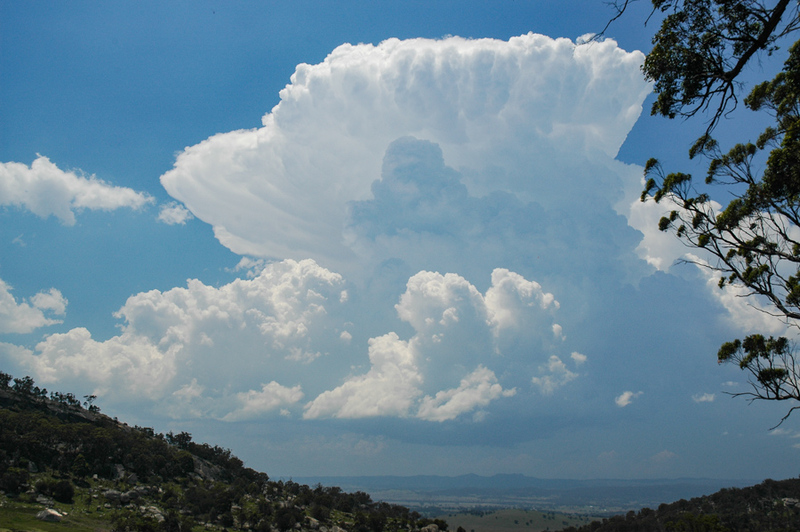 This storm persisted until about 3pm with another forming further north. 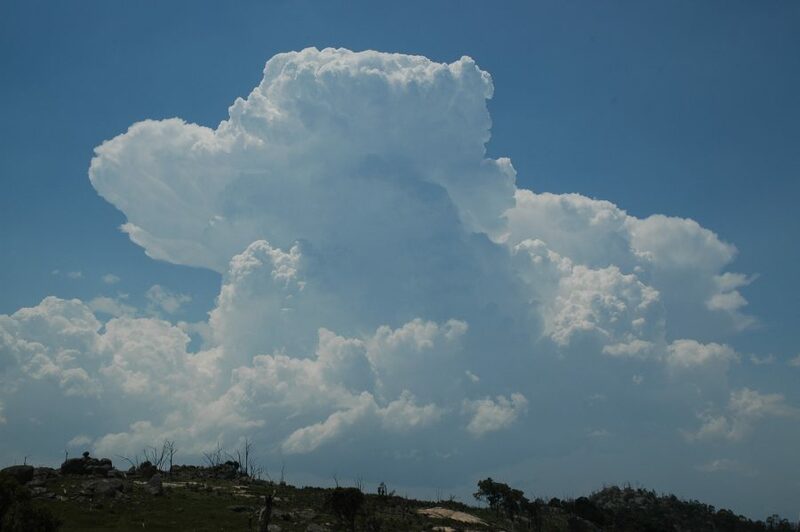 Activity cleared after the second storm, though some congestus persisted a little while. 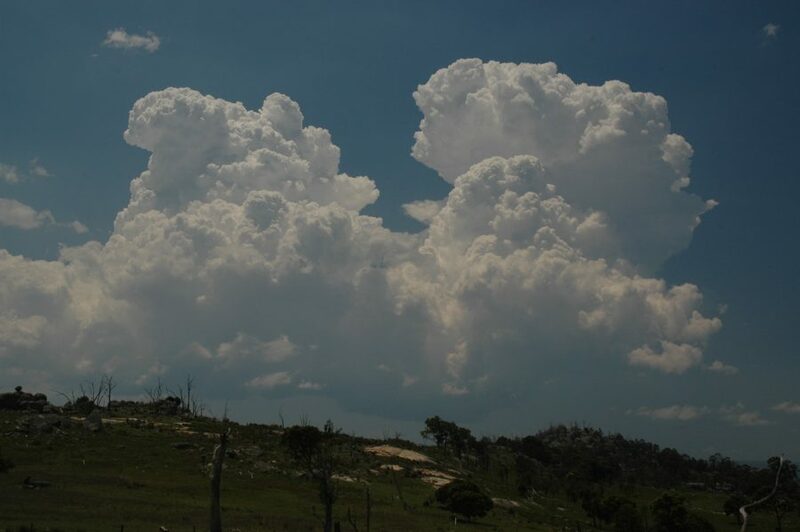 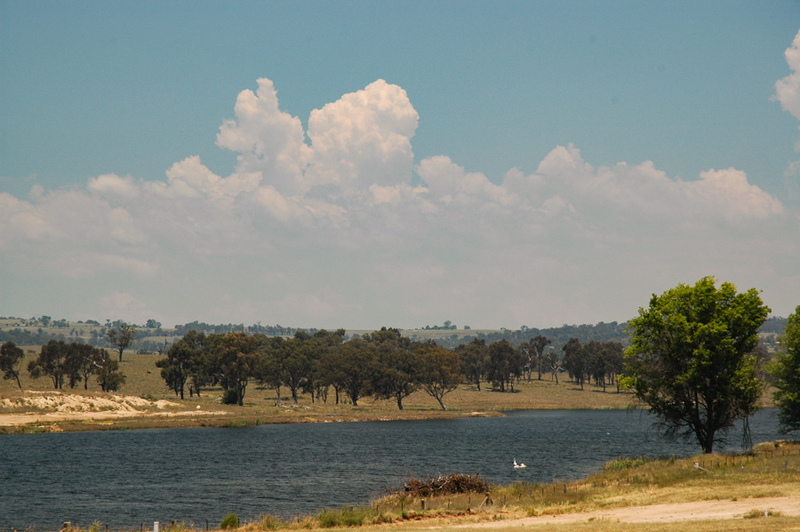 Explosive updrafts observed on the first storm which moved towards the NNW. 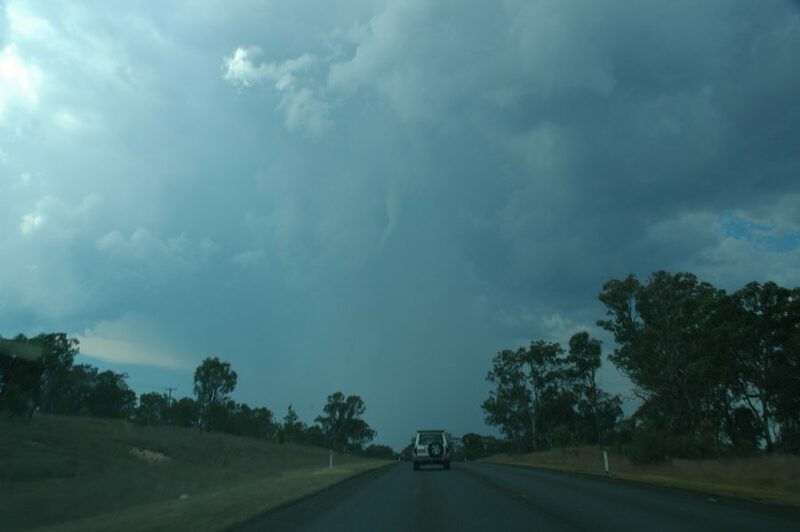 Mid level funnel seen just near Wallangarra on Queensland border.